Sarah laughed as she doubted Gods promise. Naomi plodded and persevered through her loss. Hannah wept in brokenness as she longed for a child. Mary submitted and willingly obeyed Gods supernatural plan for her life. As you look at what God has done in others lives, youll be inspired to believe God for greater things in your life too. Each session includes opening conversation starters, video response questions, related Bible passages for deeper learning, daily devotionals, and more. Also included are helps for new leaders and tips for building a healthy small group ministry. Dr. George O. Wood is general superintendent of the Assemblies of God (U.S.A.). A former pastor of Newport-Mesa Christian Center in Costa Mesa, California, Wood is the son of missionary parents to China and Tibet. He holds a doctoral degree in pastoral theology from Fuller Theological Seminary and a juris doctorate from Western State University College of Law. 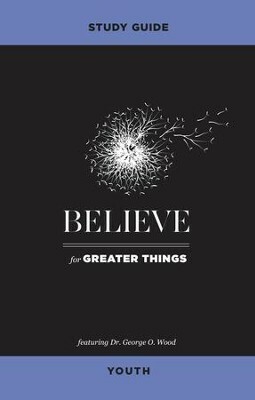 I'm the author/artist and I want to review Believe for Greater Things Study Guide Youth - eBook.